Well , its K-beauty time again. This time is about Cleansing. There are several types of cleansers – Foam , mousse , gel , oil and milk. Each catered to different skin types. These are the ones that i am using. Im actually using the Cleansing Foam but it didnt arrive on time so im currently using the Mousse (sample bottle). I go through a triple cleansing step ( if i have make up on ) or a double cleansing step ( no make up ). Im not a dermatologist or an expert but these are my personal opinions and steps which i have been using for very long time. Before the real cleansing starts , i will remove my make up thoroughly using a gentle make up remover. I hate those that needs a cotton pad and you need to tug here and there. 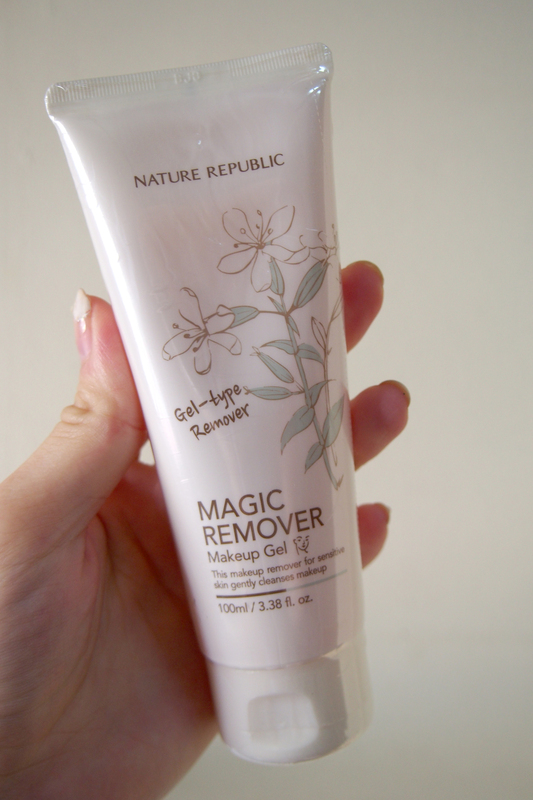 Im currently using Nature Republic’s Magic Remover. Instead of using cotton pads , i will squeeze some onto my finger tips and massage around my eyes and entire face gently with my finger tips for about 2 mins and rinse it off. The make up came off quite fast and gently. This helps to remove the “first base” of make up. 2nd step , i remove the “2nd base” make up with cleansing oil. If you think that using a make up remover is enough , you are wrong esp if you are someone who uses waterproof make up. The cleansing oil helps to remove and melt away your foundations, blushers etc. Im using Innisfree Jelly oil and the Hera Cleansing Oil. I uses the Hera Cleansing Oil after my photoshoots because of the thick make up . On normal days where i put on only simple make up , i uses the Innisfree one. I massage the oil around my face for a good 2 minutes. Slowly i can see the oil turns “white or cream” which means my foundation is coming off. And then i rinse it off with water and pat my face dry with a facial sponge. Next step is the REAL cleansing step. I prefer using foam actually because it makes me face feels clean. But i ran out of the Hera Cleansing Foam so im using the mousse ( sample bottle ) for the time-being. I use the foam/mousse in the day time. I use a foam maker to foam the cleanser before rubbing it around my face gently with a facial konjac sponge or facial mitten. The foam actually made the skin brighter. 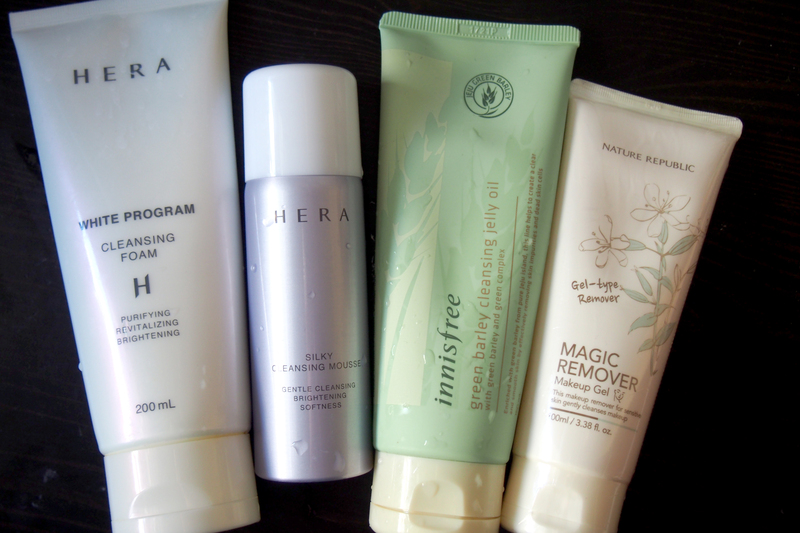 I use HERA White Program as my night cleansing foam because it comes with tiny beads. It mildly exfoliates my skin and remove all the impurities. I massage the cleansers gently for a good 3 minutes before i rinse it off. Just because it contains beads does not mean you have to scrub your face very hard. You are cleaning our face, not the toilet floor. So BE GENTLE ! After that i will rinse it off with water and pat my face dry with a towel or facial sponge. So , my cleansing regime is a triple cleansing step 2-2-3 minutes. Total 7 minutes. After cleansing , we put on all our lotions etc. When i first started my skincare routine , it was only the 3 steps – Cleansing , Toner , Moisturizing step. Very easy and just 5 minutes. But now i took about 15 minutes and apply more than 6 products in the day and up to 12 in the night. My make up table was filled with facial products. Now , we have so many products in the market promising us several benefits for our skin. Serums , Emulsions , Water , Toner , Essences , Oil , Creams etc etc. So how do we differentiate what are they for and which one should go first ? Just remember , always go with the one with lightest texture first and creams should be the last ! Some Korean brands named their toner as Water , Refiner , Toner or Lotion. So how do we know what are they ? They are often named as Facial Mist , Skin Refiner, Skin Balancing/Moisturizing Water , Skin Softener, Lotion or just Toner. Basically you pour abit onto a cotton pad and wipe it across your face. The textures for toners are very light and mostly watery. This should be the first step after cleansing. The more moisturizing ones are usually quite heavy in texture and longer time to absorb. Watery and light texture and this is usually applied after toner. Essences usually have a specific treatment which helps in whitening , brightening , pore tightening etc. They are thicker in texture than Essences because of the high concentration of ingredients to target a skin concern. Mostly very gel-like textures. Often termed as lotion or emulsion. It is a form of light moisturizer and it should be applied before the main moisturizer. It is thicker and slightly creamier than the Essences and Serums. Gels are the least creamy/oily followed by Gel Cream and then Cream. Personally i prefer the Gel cream types because it is not oily and not too light. I find the gel ones too light and “evaporated” too easy. Very high concentration and usually are for hydrating purposes. During wedding make up , the MUA usually will ask if you want to add on ampoule before putting on make up. These ampoules helps your make up to stay fresh longer. Ampoules are light in textures and are usually sold in individual tiny bottles. In short , here is the common sequence for putting on your skincare products. Sometimes i switched the steps depending on the texture of the product. I have a more intense one for night. If im targeting on whitening/hydrating , all the products used below are usually from the same range. Quite alot right ? Lol. Bo bian , if you want good skin..you have to do it. Be gentle and not rubbing or scrubbing the products onto your face ! If you are still confused , just go from the lightest to heaviest texture. Have fun and stay pretty ! This entry was posted in Hera, Innisfree, Korean beauty, Nature Republic and tagged Beauty, Korean MakeUp, Skincare Routine. 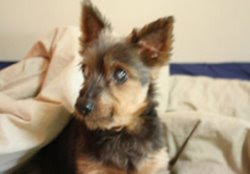 Hi Peiling, may I know where do you usually purchase your Hera products? Is it direct purchase from Korea only or online as well?